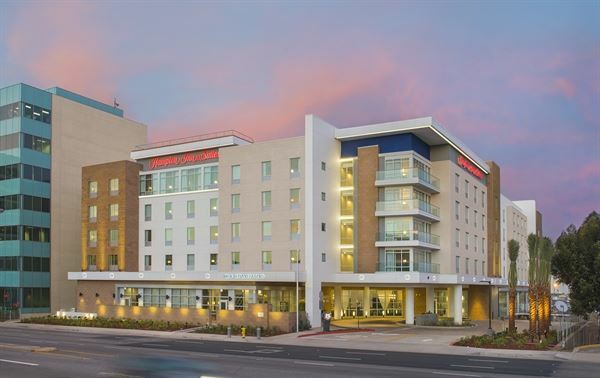 You’ll find the new Hampton Inn & Suites LAX/El Segundo hotel in the heart of El Segundo - just two miles from the Los Angeles International Airport. Our 1000 Square Ft. Meeting space can suite the needs of almost any event and offers a number of amenities, including free Wi-Fi, onsite restaurant and bar, 24/7 convenience shop and free airport shuttle service. Our LAX hotel is close to Manhattan Beach, El Segundo Shopping Mall, Rodeo Drive and Disneyland. Enjoy easy access to great shopping, dining and beautiful beaches. Special Features: Large drop down screen with projector, catering available, complimentary wifi.